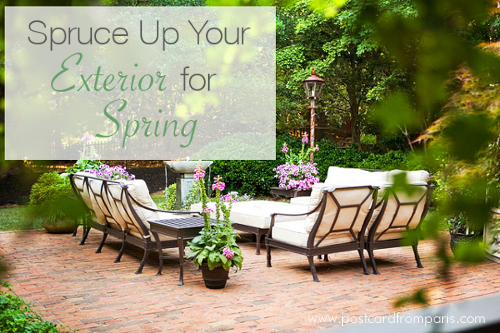 Now that it's spring, everyone's ready to spend more time outdoors so it's time to spruce up your exterior and make the outside of your home and yard just as beautiful as the inside. April and May are good months for planting new flowers and flowering shrubs. 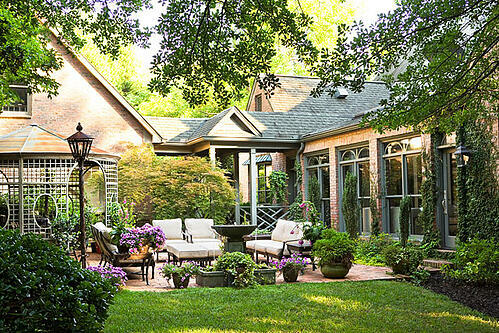 When selecting flowers to plant, consider adding color to your yard with various spring-time flowers. Begonias, snap dragons, marigolds and geraniums are just some flowers that offer beautiful blooms and pretty colors that will instantly brighten your yard. 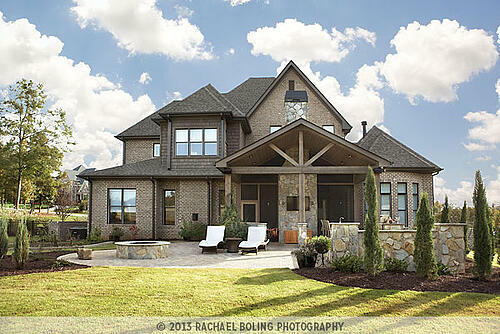 Spring is the time to address problem areas in your lawn. In high traffic areas, check for soil compaction which makes it difficult for grass to grow. In those areas plagued by this issue, loosen the soil with an aerator. Thatch or dense spreading grasses like Bermuda can also plague your lawn and the soil. Break up the thatch with a special dethatching rake. It's important to properly clean and prepare the soil early in the season to ensure a healthy summer lawn. Now is the time to also do that dreaded weeding. Your flower beds and mulched areas have been neglected over the last few months, allowing those pesky weeds to grow. Spend time pulling up any dead plants or weeds before planting your new shrubs and flowers. Spring is also a good time to put out new mulch in your beds. New mulch not only helps make your landscape look more appealing, it also helps with moisture retention, minimize weed growth and regulates ground temperature. 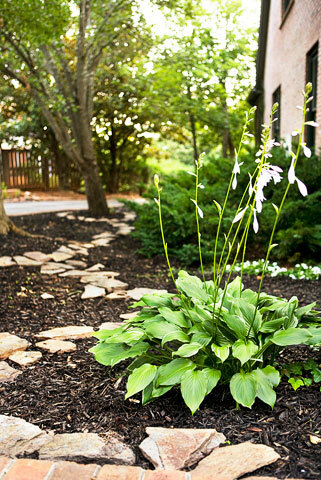 No more than 3 inches of mulch should surround your plantings. If mulch has built up around your trees and shurbs, be sure to remove all the old mulch before putting down new to avoid exceeding the 3 inch maximum. 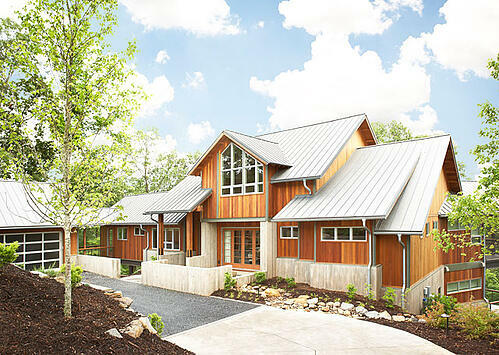 The exterior of your house could also use some TLC. Do some thorough inspection for areas on the outside of your home that need repairing. Due to excessive moisture and freezing temperatures, your exterior paint might be chipped or cracked. 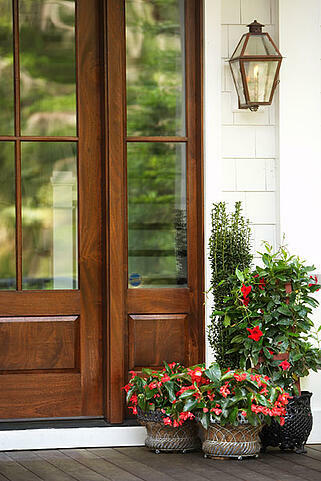 Consider giving those areas a fresh coat of paint to further enhance your home's curb appeal. It's also important to spruce up the interior of your home for spring. Read this post and download these five tips from our design team for ways to liven your home for spring.